I want to talk about my recent trip to Barrio Fiesta at SM Sta. Rosa. I've seen the Barrio Fiesta deal before but I wasn't that compelled to purchase the deal since I can't use it at a nearby mall. I have actually eaten there before and I was only delighted to go back. 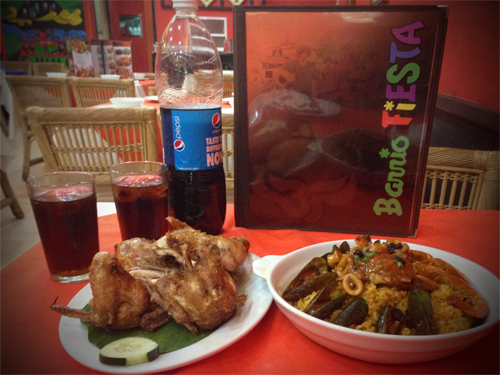 For those of you who don't know, Barrio Fiesta is a popular restaurant which offers delectable Filipino food. It was founded in 1958 by none other than Sixta Evangelista Ongpauco. 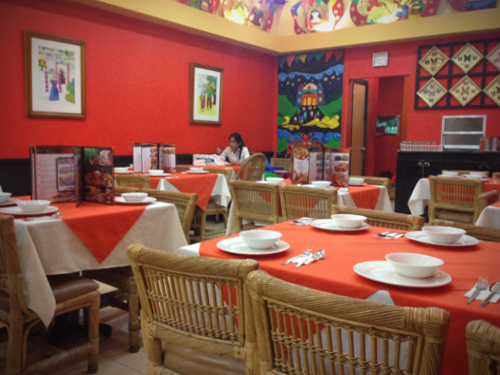 Barrio Fiesta has more than 10 branches in the Philippines and has a branch in California, USA. I got the Bario Fiesta voucher for only Php490. I printed my voucher and headed to the mall with my friend. I arrived shortly after lunch and they asked for my Metrodeal voucher and ID. 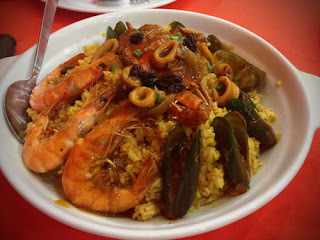 The order came relatively fast and I was surprised at the amount of food– 1 whole fried chicken, seafood paella rice and 1.5 L Pepsi. I enjoyed the crispy skin of the friend chicken and I savored the paella. As much as we loved the food, we didn't finish everything. After all, the set meal was meant for 4 persons. So, we had to half of the food home.